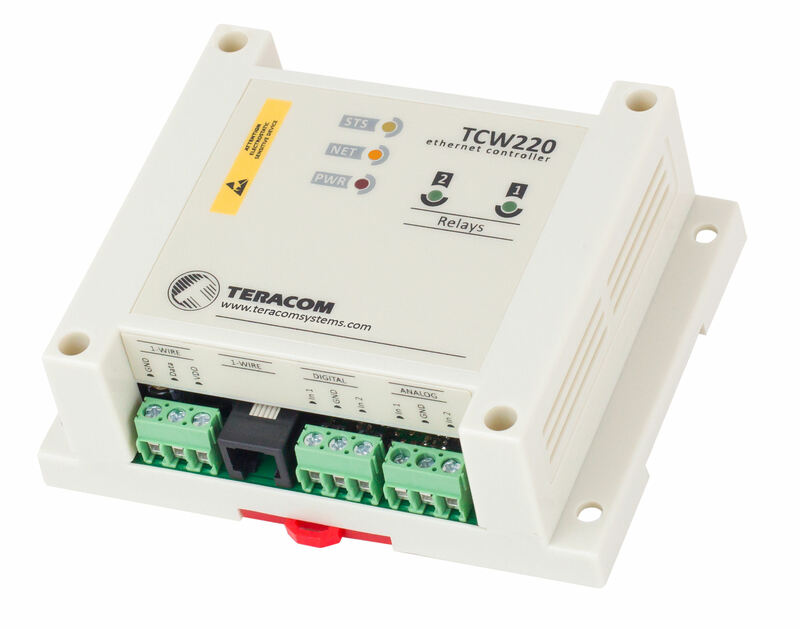 The TCW220 is an Ethernet data logger for general data acquisition applications. It has two analog inputs, with 10-bit resolution and two discrete inputs. 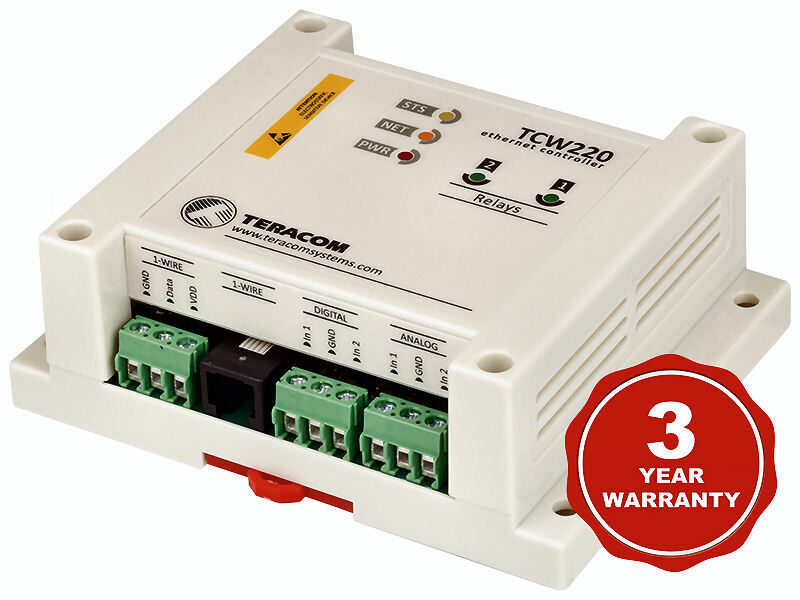 It supports a 1-Wire interface for up to eight Teracom 1-Wire sensors – carbon dioxide, 0/20mA, AC/DC current, temperature, humidity, etc.) 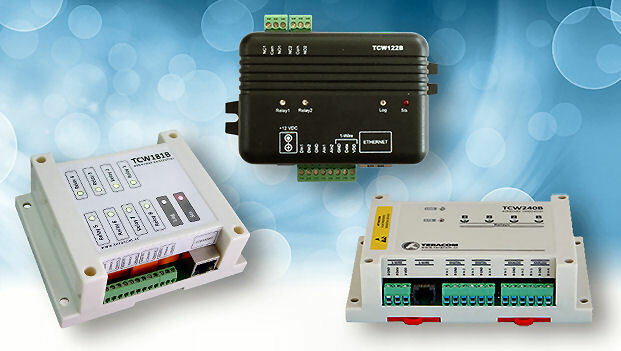 The Ethernet data logger also has two relays with normally open and normally closed contacts. All monitored parameters can be logged on a set time interval and/or on an alarm condition. The memory is large enough for at least 36 days with records every minute. 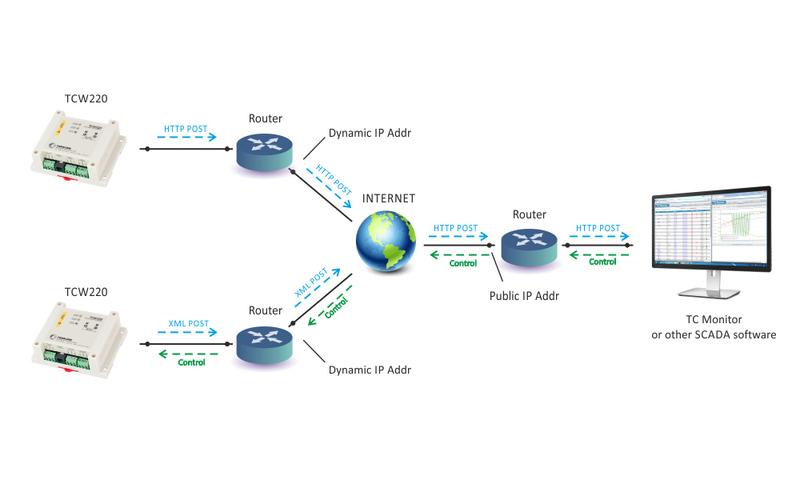 Log files can be periodically uploaded to a dedicated server with an HTTP Post. XML/JSON files with all monitored parameters can periodically be uploaded on a dedicated server with an HTTP Post. An answer is returned for commands to relay’s control. This provides a method to build a SCADA system. The relays can be activated either remotely (WEB, SNMP, HTTP, MODBUS etc.) or locally – from status of monitored parameters. 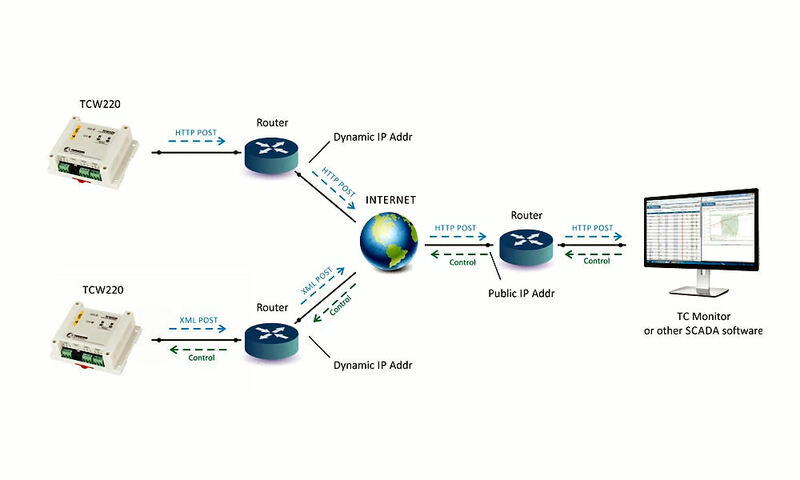 For every parameter, e-mails and SNMP traps for up to 5 recipients can be sent. Alarm alerts also can be sent with an HTTP Post with XML/JSON status files.